Perfect pub style growler and glass set. The dark glass growler is designed to protect your precious micro or homebrew for maximum freshness. Personalize with name and year for the ideal gift set. Recommend to hand wash only. **"TAVERN" IS automatically included on the mug. 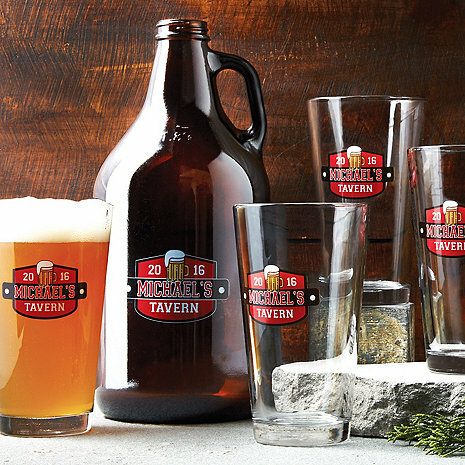 BEST ANSWER: The Personalized Growler & Pint Glasses set are dishwasher safe.